After coming together to reinvent the Clyde last year, Undefeated and PUMA unveiled the next chapter of their successful collaboration at Bread & Butter last week. 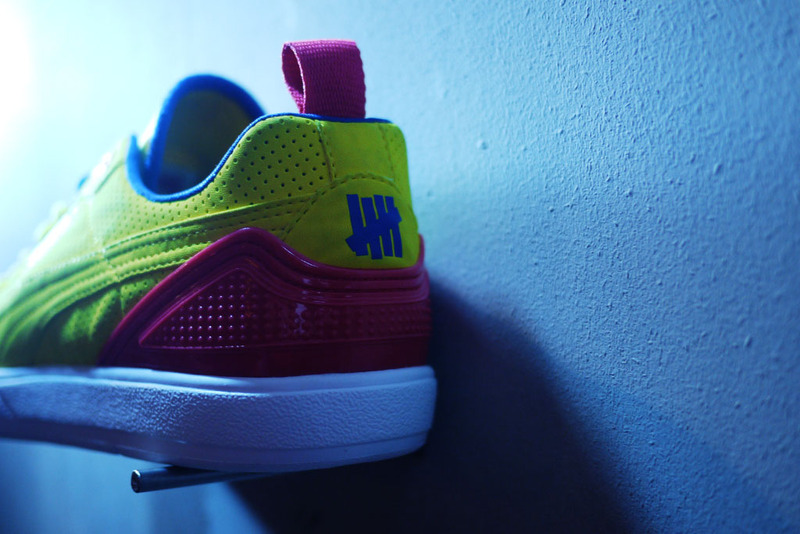 After coming together to reinvent the Clyde last year, Undefeated and PUMA unveiled the next chapter of their successful collaboration at Bread & Butter last week. The Neoprene Clyde is a sporty interpretation of the classic low-top, complete with a neoprene build and micro-perforated leather reinforcements along the side panels and heel. 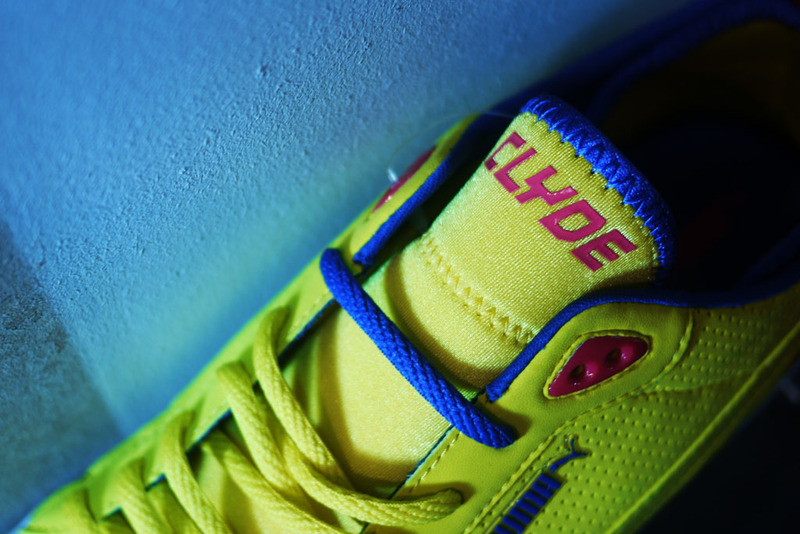 The pair previewed here features a neon upper with red working the upper eyelets, tongue branding, pull-tab and external counter. 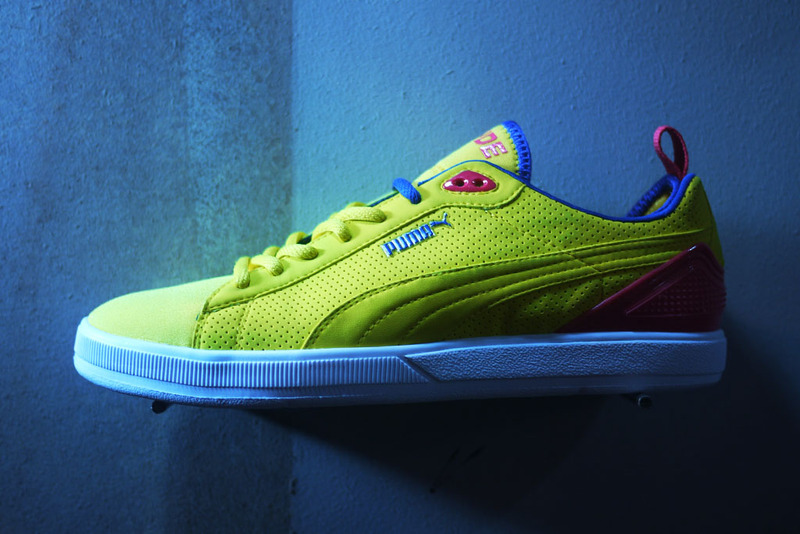 Blue is used subtly on the PUMA logo and trim along the tongue and collar, while a sold white outsole wraps things up below. 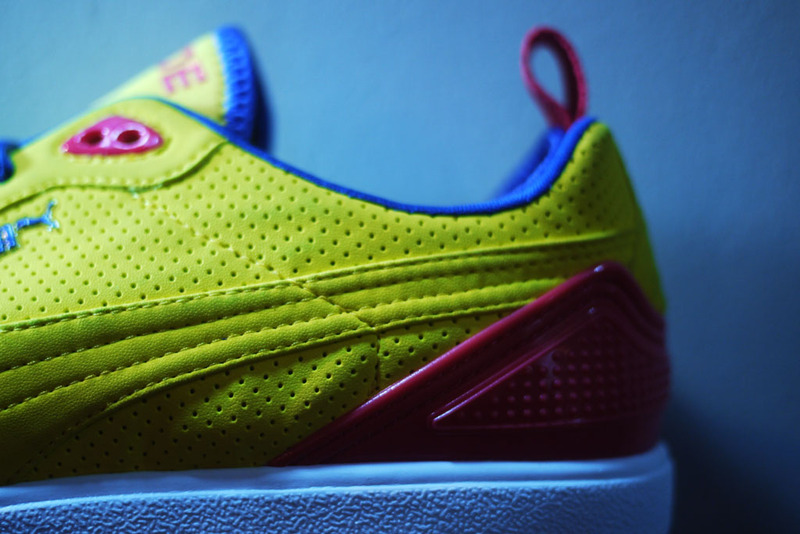 The Neoprene Clyde will drop as part of Puma's Spring/Summer 2013 Collection.